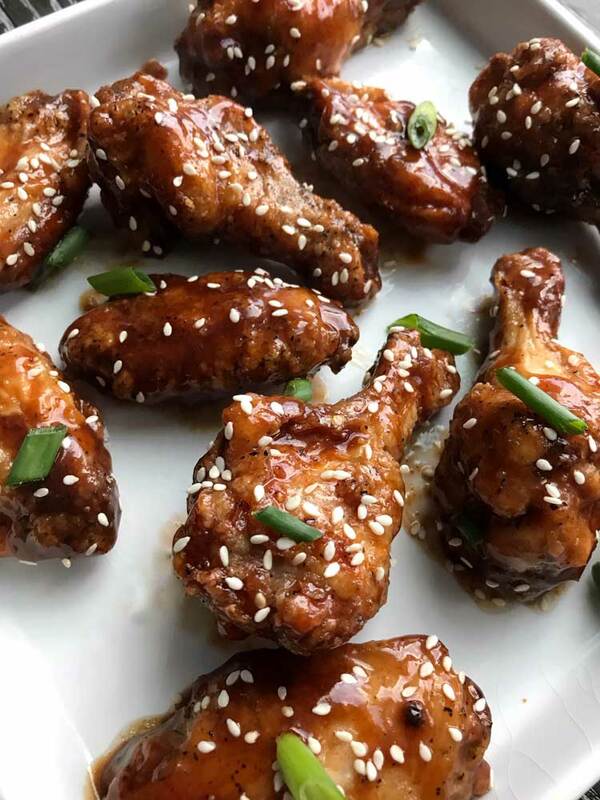 Teriyaki hot air fryer wings – crispy on the outside, juicy on the inside and oh so saucy! This post contains affiliate links and I may earn for the purchase made through these links at no extra cost to you. I have definitely passed my love of chicken wings to my children. What’s not to love? It’s the perfect finger food and always a hit at any party. Also, wing nights are always a great way to enjoy time with friends. I do have two requirements for wings. The wings have to have a nice crisp coating and they have to be saucy. When making wings at home, we never fry them. It used to be that they were made in the oven but lately, they are always cooked on the bbq before being sauced. Until the air fryer came along.